Alex Cavendish venting his apprehensions about prison reform prior to the election of Theresa May as Tory Party leader and British Prime Minister. 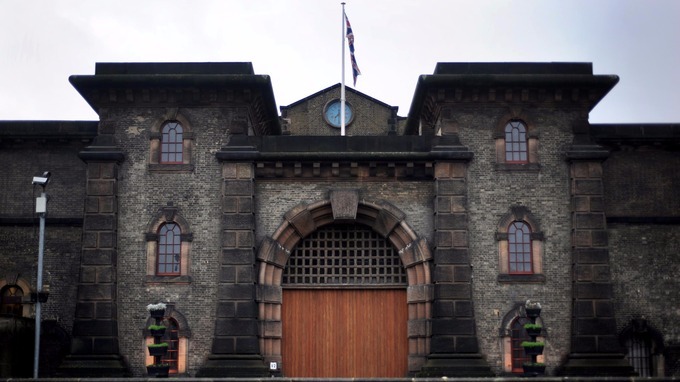 Alex Cavendish blogs @ Prison UK: An Insider's View. Michael Gove has done the dirty on Boris Johnson and is standing for the Conservative Party leadership. 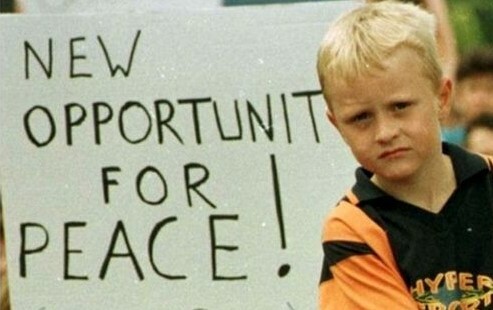 If successful, he could become the next prime minister. Where will this leave his plans for prison reform? As regular readers will know, I’ve blogged previously on why I feared Mr Gove would prove to be a big disappointment when it came to reforming our overcrowded, understaffed prisons (read here). After making all the right noises when he was appointed as Secretary of State for Justice in May 2015, there were a few quick wins (mainly reversing the most ridiculous policies of his unlamented predecessor Chris Grayling, such as the ban on posting in books to prisoners), but overall progress has been painfully slow. True, there has been the much vaunted announcement of six ‘reform prisons’ where governing governors will enjoy far greater autonomy than their counterparts in non-reform establishments, but it’s unclear whether this experiment will deliver a model that could be rolled out across the whole dysfunctional system. It remains early days, yet with the current crisis engulfing prisons in violence on a daily basis time may fast be running out. It is also worth noting that Mr Gove has encouraged governors to make more use of Release on Temporary Licence (ROTL) as part of the resettlement process. This is in stark contrast to his predecessor, ‘Calamity Chris’ who responded to a handful of serious incidents by doing his best to eliminate any potential risk to the public by imposing restrictions on the granting on ROTL. These include requiring time-consuming psychological evaluations, as well as increasing the amount of bureaucracy involved prior to the granting of temporary release. The end result has been to set back resettlement work at many jails, especially Cat-Ds (open prisons). Mr Gove has also asked the new chair of the Parole Board, Nick Hardwick, to review the way in which prisoners who are still serving the widely discredited indeterminate sentence for public protection (IPP) are treated. 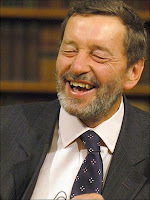 Although the sentence – introduced in 2005 by former Labour Home Secretary David Blunkett – was discontinued in 2012, around 80 percent of the 4,100 IPPs continue to be held beyond the minimum tariff handed down by the courts. This alone costs the taxpayer an estimated £500 million per year. Of these prisoners, 400 or so have now served sentences five times longer than their tariff, often because offending behaviour courses are unavailable or because they live with mental health conditions that hold back their progress. It is also well documented that IPPs have disproportionally higher rates of suicide and self-harm than other inmates. However, it is should also be noted that behind these positive initiatives lies a prison system deep in crisis. Anyone still in any doubt about this should take a long hard look at the report issued in May by Parliament’s Justice Committee, the body of MPs that oversees the work of the Ministry of Justice (MOJ). The Committee’s damning conclusions were summarised by committee chairman Bob Neill MP: “The Ministry of Justice hope that prison safety would stabilise. In reality it has deteriorated further and continues to do so.” He also warned that without swift action, the entire prison reform programme would be undermined. Violence – both between prisoners and against members of staff – has continued to dominate our prisons, while suicide and self-harm statistics remain appallingly high and show no sign of abating. Moreover, overcrowded wings are quite literally awash with drugs of all kinds and illicit mobile phones are readily available to keep criminal businesses operational from behind bars. These challenges are evident in the pages of almost report issued by HM Inspectorate of Prisons or the Prisons and Probation Ombudsman. In the last couple of years our prisons have become much more dangerous places. Incidents of ‘concerted indiscipline’ – which can range from a few prisoners refusing to return to their cells, right up to full scale riots that leave whole wings uninhabitable – take place behind the high walls out of public view. Few cases actually make it into the media unless one or more prisoners actually manage to make it up on to the roof where the authorities can’t keep it quiet. Often it is only the local papers that report on the disturbances taking place. In May, Parliament’s Justice Committee heard evidence that HMPS’ Tactical Response Group – often dubbed ‘the riot squad’ – is now being called out 30-40 times per month to deal with prison unrest. One of the most recent serious riots took place at HMP Erlestoke, a Cat-C establishment near Devizes, on 11-12 June. Two wings were reportedly trashed and around 140 inmates transferred to other prisons. Whether or not there was a direct link between the smoking ban, which began at Erlestoke on 23 May, remains to be confirmed officially. However, such tensions are unlikely to have helped matters. A significant amount of violence in prisons is gang-related, as well as linked closely to the drugs trade and cycles of debt that this encourages. Although the new Psychoactive Substances Act, which became law on 26 May 2016, criminalises the possession in prison of what were once called ‘legal highs’, it is probably too early to predict what the impact on the availability and use of such drugs in prisons will be. 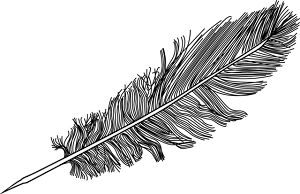 Past experience with other illegal drugs suggests that the affect may well be marginal, other than putting the prison disciplinary system under further strain. It also cannot be ignored that the current tensions over the Brexit debate might fuel violence in at least some of our prisons. Most establishments have prisoners from other EU countries who tend to band together for protection or for social support and given the current levels of disorder and violence in our prisons, clashes between individuals or groups of nationals cannot be ruled out. Many prisons also remain understaffed and this continues to have a negative impact on the daily regime provided, leaving more and more inmates locked in their cells for up to 22 or 23 hours per day, thus fuelling resentment and anger. At the same time, the recruitment drive to plug gaps in staffing at prisons in England and Wales was not delivering very impressive results. Of the 2,250 prison officers recruited in 2015, only 440 remained in post, a situation attributed to poor retention rates. Whatever the outcome of Mr Gove’s bid for the Conservative Party leadership, it seems a fairly safe bet that his time at the MOJ is effectively over. It could be argued that in the 13 months he has been in post he has at least initiated various policy reviews and that some of these will take time to come to fruition. Supporters will no doubt cite the launch of the ‘reform prisons’ as evidence that there is at least the potential for fundamental change in the way our prisons are managed at a local level. Critics point out that many so-called new initiatives have actually been attempted previously, but have been abandoned for a range of reasons, including cost or political expediency. On the other hand, our prison population remains stubbornly high, at 85,130 this week in England and Wales, although this is slightly down on the 85,576 incarcerated in the same period in 2015. Many prisons are also grossly overcrowded, such as HMP Kennet which is currently as 188 percent of normal capacity (329 inmates compared to 175 certified normal capacity) or HMP Wandsworth at 170 percent (1,600 compared to 943). 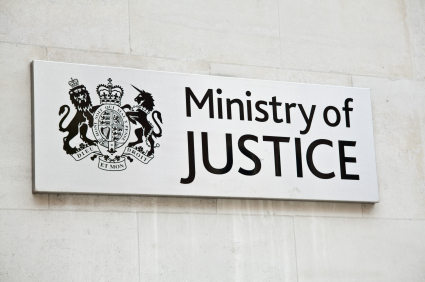 Bold initiatives, such as granting early release to many prisoners who are serving short sentences for non-violent offences, or greatly reducing the number of unconvicted people being held on pre-trial remand do not seem to be on the MOJ agenda. It is worth noting that on average only 17 percent of the 10,000 remand prisoners will actually receive a custodial sentence at court. The remainder will either have charges dropped, will be acquitted or will be given a non-custodial penalty. Each prisoner still costs the taxpayer an average of £36,260 per year, innocent or guilty. Then there is the vexed question of foreign national prisoners who usually account for around 10,000 of the prison population at any time. The Early Removal Scheme (ERS) which offers foreign nationals who volunteer to leave the UK up to 270 days ‘discount’ on their sentences does exist, but as the Justice Committee has regularly highlighted, it is very poorly managed and numbers taking advantage of it remain low. In addition, there is a lengthy list of categories of prisoner who are not eligible for this incentive (which is separate to the bilateral system for transferring foreign nationals back to their home countries to continue serving their sentences). MOJ: more budget cuts to come? Finally, there are the budgetary implications of prison reform, particularly at a time of economic uncertainty following the recent referendum vote to leave the European Union. If the impact of austerity was severe for the prison sector in England and Wales, it remains to be seen what further damage a lengthy recession and reduced public spending could inflict. Reducing the overall prison population may become more than a reforming objective. It may become an unavoidable economic necessity. 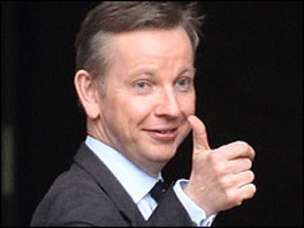 If Mr Gove’s time at the MOJ is indeed coming to an end, he will leave a poisoned chalice for his successor. Expectations for fundamental reform of our prison system remain high and, as the Justice Committee has warned, the current situation is simply not sustainable. On the other hand, staff morale is at rock bottom and the strategy for recruitment and retention of new officers is not proving a success. Whoever takes over may find that there is a very long, hot summer ahead regardless of the weather outside. So Where Now For Prison Reform?